FOX has ordered the racially charged mystery drama, Shots Fired. Starring Sanaa Lathan, Shots Fired is written and executive-produced by Gina Prince-Bythewood and Reggie Rock Bythewood. After a black police officer shoots an unarmed white teen, tensions flare. Brian Grazer and Francie Calfo also will serve as executive producers. Gina Prince-Bythewood will direct. The Shots Fired series is set to debut in 2016. Fox Broadcasting Company (FOX) has ordered SHOTS FIRED, the dramatic new event series from Gina Prince-Bythewood (“Beyond the Lights,” “The Secret Life of Bees,” “Love & Basketball”) and Reggie Rock Bythewood (“Beyond the Lights,” “Notorious”), that examines the dangerous aftermath of racially charged shootings in a small town in Tennessee. The event series will debut in 2016. SHOTS FIRED, from 20th Century Fox Television and Imagine Television, will star Sanaa Lathan (“The Perfect Guy”) as an expert investigator who digs into the cases, alongside a special prosecutor sent to the town by the Department of Justice. The pair must navigate the media attention, public debate and the social unrest that comes with such volatile cases, as they seek justice before the divided town erupts. The series is written and executive-produced by Gina Prince-Bythewood and Reggie Rock Bythewood. Brian Grazer and Francie Calfo also will serve as executive producers. Gina Prince-Bythewood will direct. SHOTS FIRED is produced by Undisputed Cinema and Imagine Television, in association with 20th Century Fox Television. The story was co-written by Gina Prince-Bythewood and Reggie Rock Bythewood. The project is executive-produced by Gina Prince-Bythewood, Reggie Rock Bythewood, Brian Grazer and Francie Calfo. FOX previously announced it was developing (the then untitled) Shots Fired TV series, back in October. What do you think? Do you like the sound of the Shots Fired TV show? Do you intend to check it out? 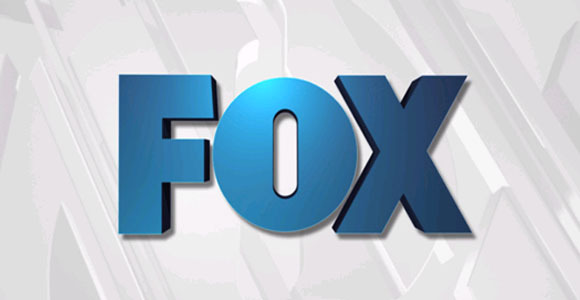 More about: FOX TV shows: canceled or renewed?, Shots Fired, Shots Fired: canceled or renewed? Seems like this should have been made more realistic by having a white police officer shoot an unarmed black teen to better reflect the real stories that are going on in this country. This will just show that the issue is more important since the teen is white. That very point keeps giving me butterflies in my tummy, Rick. I keep wondering why the choice was made to have it be a black cop and a white kid. I keep wondering if there’s a point to be made (as in, is this to avoid the racial aspect, or is it to make a point). Or have one of the other more popular themes… black on white. This will only cause more violence!